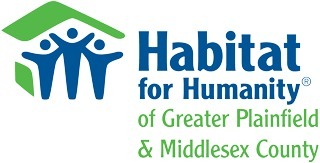 Women Build Clinics Volunteer Campaign for Habitat for Humanity - Gtr Plainfield & Middlesex County - Giveffect, Inc.
Women Build How-To clinics are open to members of the public who are interested in volunteering for any local Women Build. There is no cost to enroll, and supplies are provided by Lowe’s. Each of the offered clinics, led by Lowe’s store employees, will teach women volunteers home construction basics and offer opportunities to practice new skills. Women will also learn tool safety tips and build the confidence they will need on the build site. RSVP here online is highly encouraged—to ensure adequate training materials. Habitat for Humanity’s National Women Build Week is an annual weeklong event created by Habitat’s Women Build program that invites women to devote at least one day to help families build strength, stability and independence through housing. The week is held the week leading up to Mother’s Day. More than 98,000 women from all 50 states have volunteered at the nine previous National Women Build Week events. During the week of May 6-13, 2017, Women Build 2017 in Plainfield will seek to finish our current project called "Habitat: Barrier Free", which will serve a family in need of an affordable, accessible, barrier free home. The home is specially designed to meet the needs of a physical disability. On January 4th, 2016 Nikeisa Johnson and her family were chosen as our partner family for "Habitat:Barrier-Free" in Plainfield.